Car wraps are an increasingly popular paint alternative for changing your vehicle’s appearance. 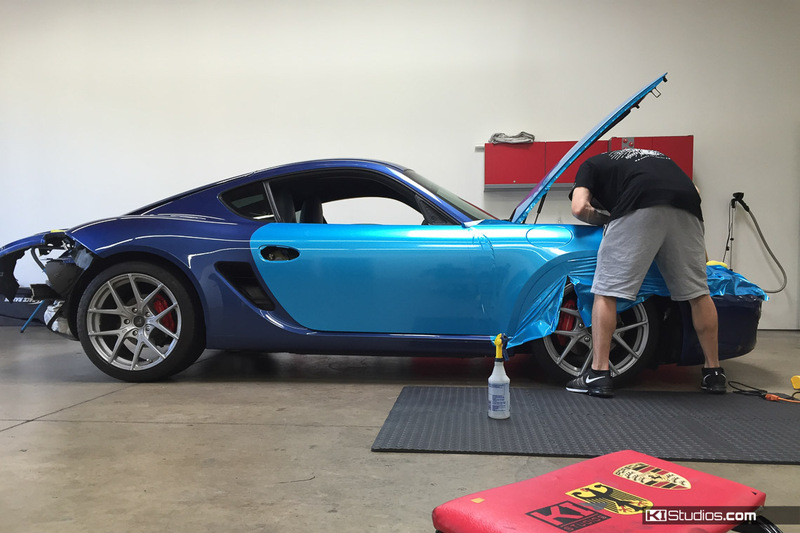 However, there are still some common misconceptions when comparing wrap vs paint. Let’s clear those up. Wrapping to fix bad paint. First off, you need good paint to start with. 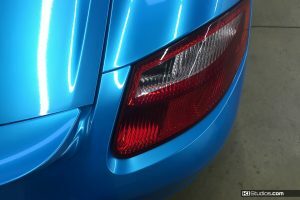 Any imperfections in your paint will show through the wrap — Specially those of a textured nature. 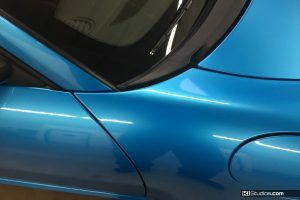 Furthermore, if your paint is weak, such as a failing clear coat, it might not resist when the time comes to peel the wrap off. When comparing wrap vs paint, the main point of using vinyl to change your car’s appearance is that it’s reversible. Meaning, if you change your mind, or need to return the car to stock to sell it, you can always revert back to the original state. But when your paint is bad, you really don’t have a good base to apply the wrap to. 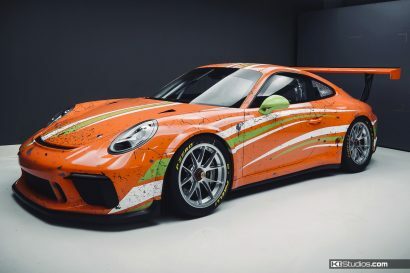 I don’t mean your paint needs to be show-quality to accept a wrap. 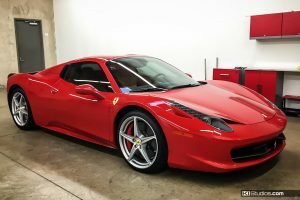 It does however need to be healthy, with a strong clear coat and no deep scratches, dents, corrosion or other roughness. The other big misconception, likely as predominant as the first, is as follows. Wraps as a cheaper alternative to paint. Like I pointed out earlier, car wraps are not meant to fix your paint. They are also not cheap. The material itself is expensive and many man hours need to be put in to complete a quality car wrap project. 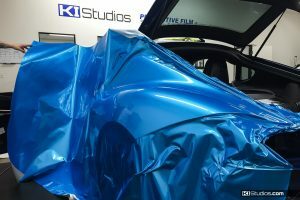 Much like paint, a lot of experience is required and only highly skilled people can perform the wrap job flawlessly. There is a time to paint and a time to wrap. That said, the cost of wrap vs paint is an important factor when making a decision. 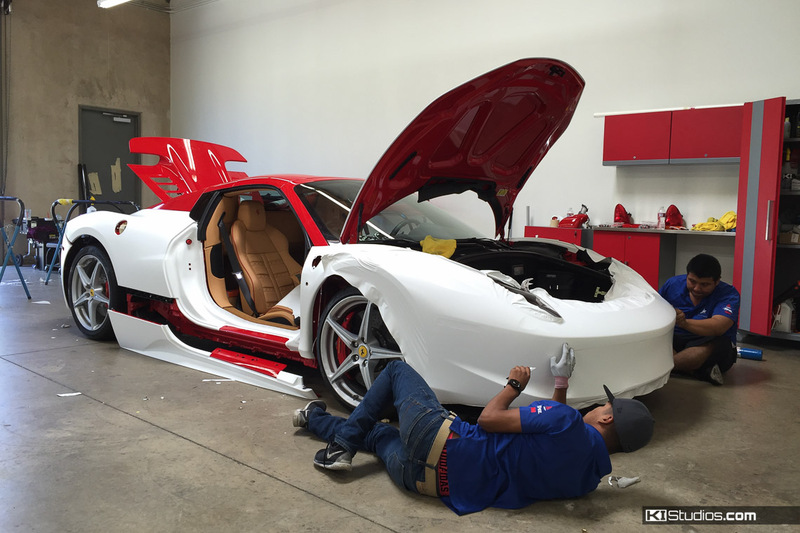 In most circumstances, a car wrap job will cost the same as painting your car. Of course, price varies depending on quality. 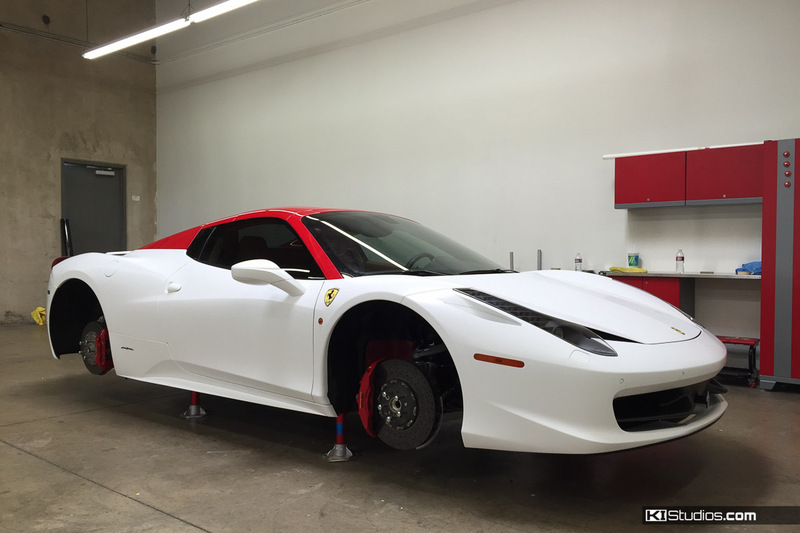 A low quality paint job will cost less than a high quality wrap, and vice versa. In the end, you want a high-quality result. A high-quality result doesn’t come cheap. Comparatively, most people think of paint as being all the same and wraps as being all the same. They often make the mistake of comparing an average paint job with a high-quality wrap where the price might be similar, but the end results are nothing but. If your paint is good, you wrap. If your paint is bad, you paint. Wrap vs Paint – When can a wrap be cheaper? 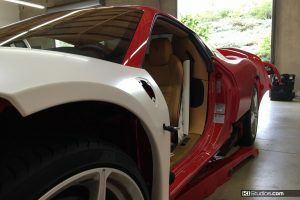 Earlier I mentioned a few exceptions were car wraps can be cheaper than paint. Let’s look at them below. Race cars have to change their look very often. They change their colors and they change their sponsors. 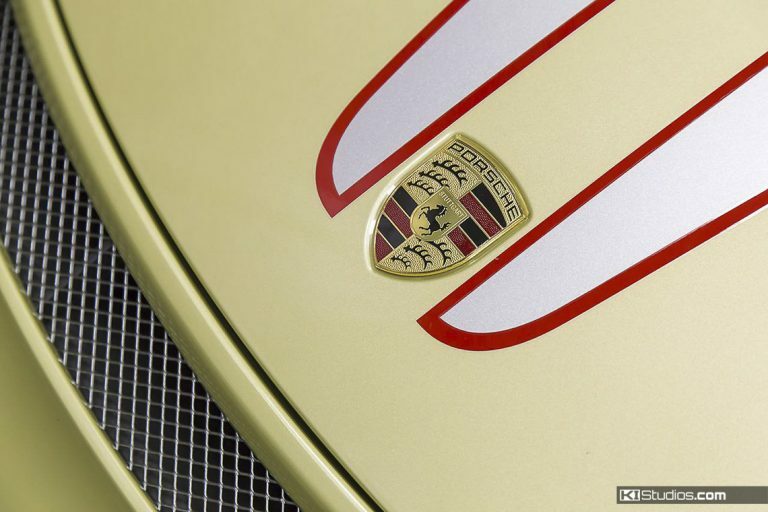 Moreover, the cars often have multiple colors, stripes and designs. 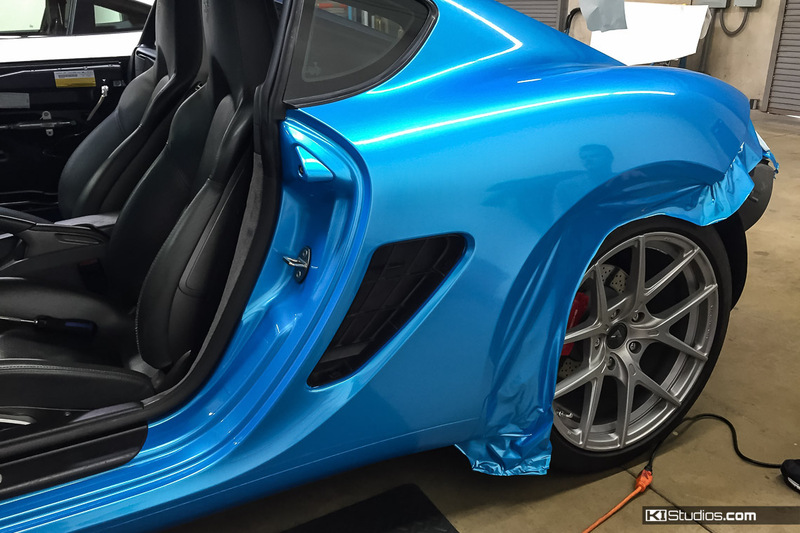 Likewise, to make quick color and design changes, wrapping can be done in a less costly manner than paint. Not to mention, when there are multiple colors, paint gets expensive really quick. Race cars also incur damage on the race track where they need repairs more often than road cars do. Given it’s usually a panel or two that need to be repaired, it’s cheaper to just wrap the repaired or replaced panel than it is to paint it. Painting requires quite a bit more prep time than wrapping. 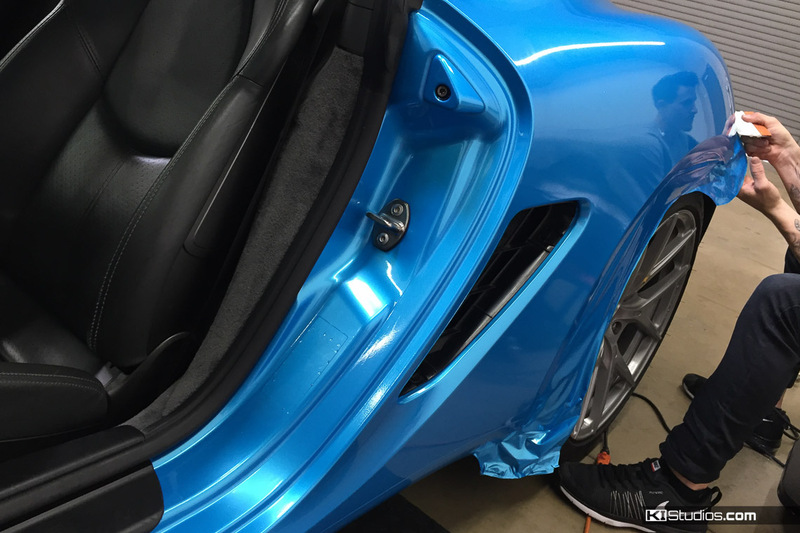 For small sections that have to be repaired often, vinyl wrapping can be less expensive. To clarify, where the above transfers over to road cars is when referring to small panel sections. Since it’s only one section, and often just one panel, roofs can be wrapped more affordably than painting them. The same thing goes for hoods. Many sports car owner like to run a different color hood. Often black, or matte black. 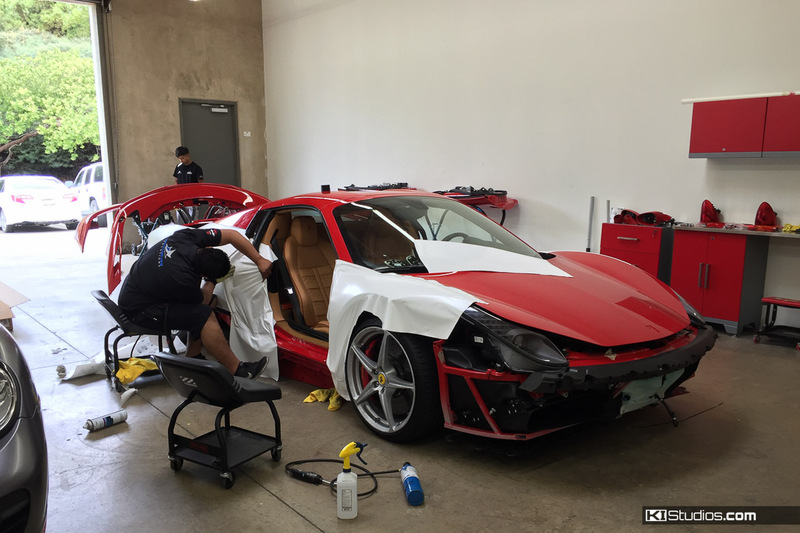 This is a ideal situation for using a wrap rather than paint. The main benefit of a wrap is you can change the color of your car without messing with the resale value. In fact, it can actually work in your favor. Since you are covering your paint, you are essentially protecting it. 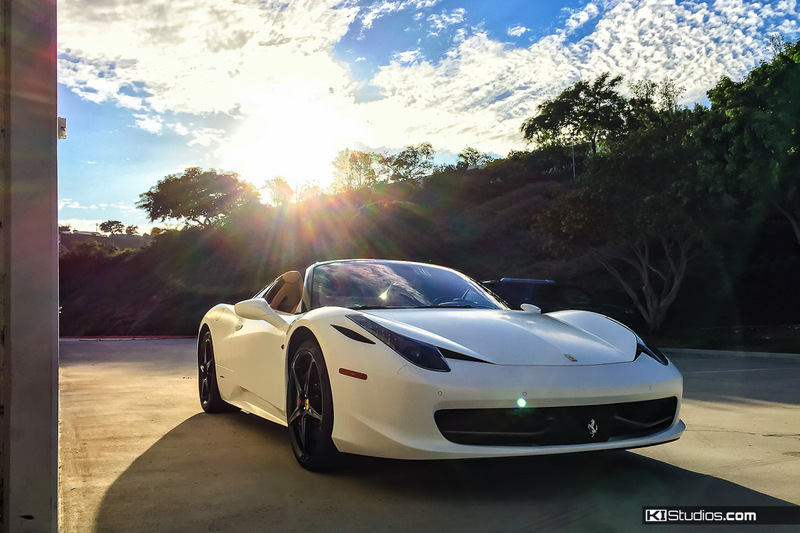 This could help protect your resale value. Before selling, peel off the wrap to reveal the paint below which has been protected from UV rays, contamination, scratches and paint chips. 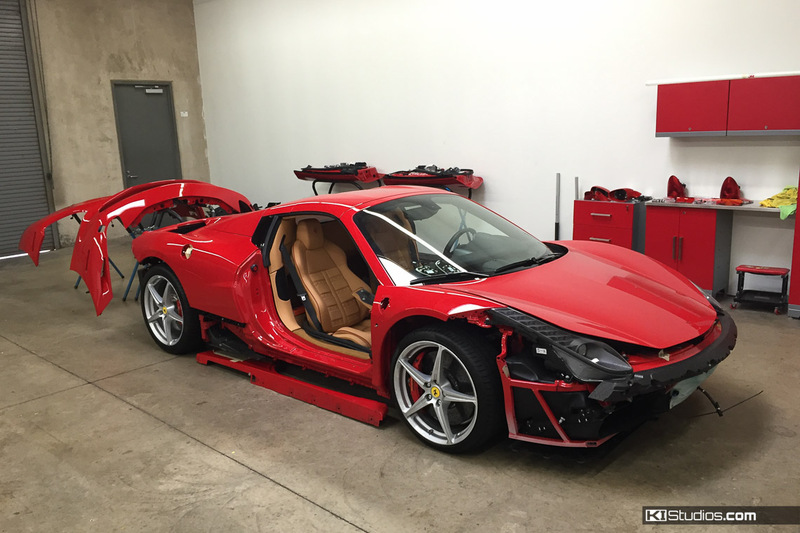 The entire process can be as expensive as paint, but you have the option to remove it. Something you can’t do with paint. 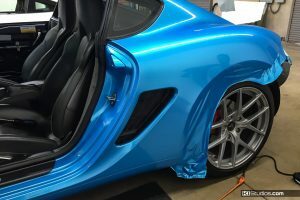 Additionally, if you are changing colors, unless you take the car apart and paint the engine bay, door jambs, trunk, etc, (very expensive) you will have a different color in those areas. When wrapping, you have the same situation, BUT it’s NOT PERMANENT. 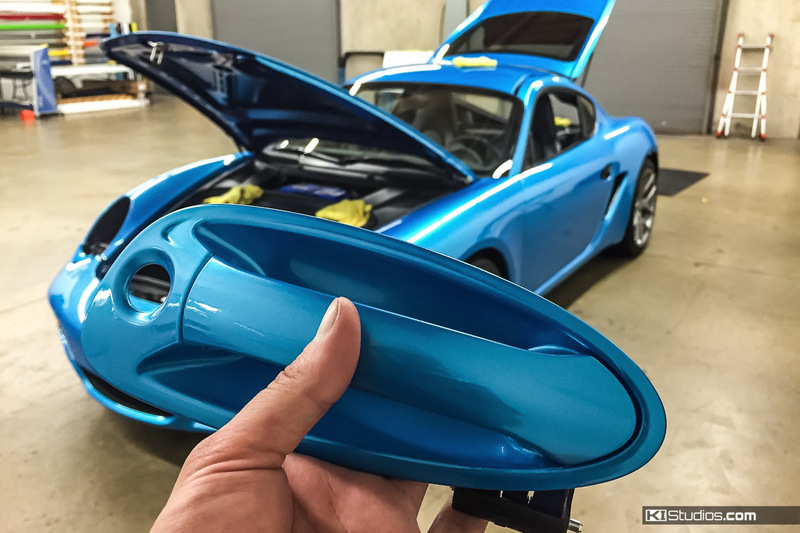 Similarly, if you want your paint to match your engine bay again, just peel the wrap off. Furthermore, there are some colors, finishes and effects that can be done with vinyl, that cannot be easily accomplished with paint. 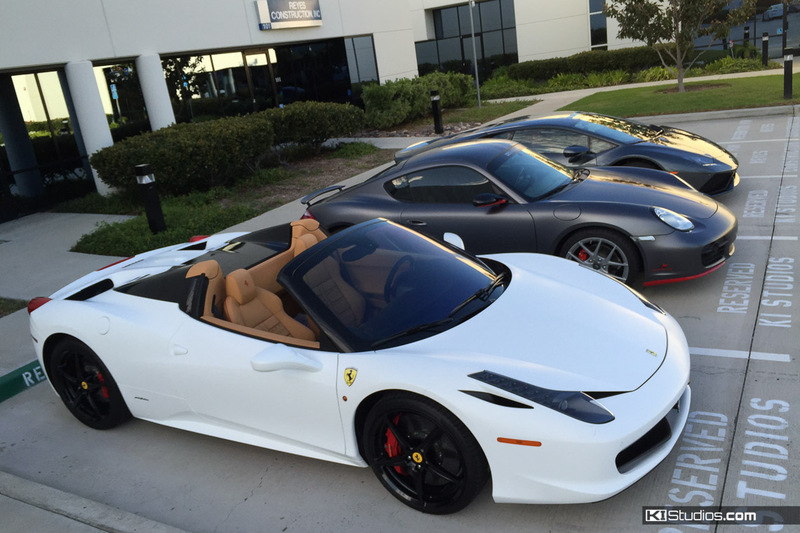 Some of these include chrome, color shift, pearl, and satin finishes. 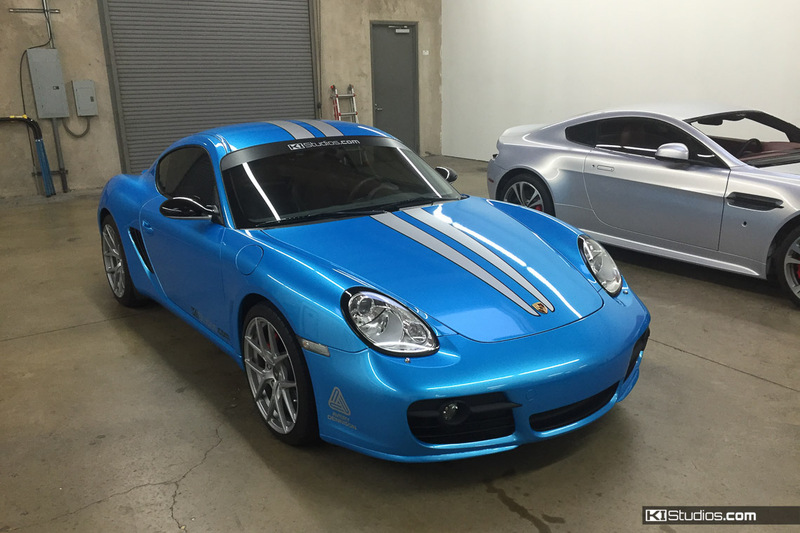 For these options, it would be often better to go with a car wrap instead of paint. Let’s say your original paint is in bad condition and will not safely accept a vinyl wrap. 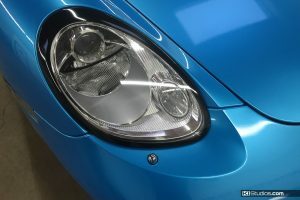 By the same token, the paint imperfections will show through the wrap. Given the weak paint, if you still insisted in wrapping, peeling the wrap off in the future will likely bring the bad paint up with it. In a case like this, you need to paint rather than wrap. Additionally, if you are looking for a more factory-look with no seams and a matching engine bay, door jambs, trunk, then painting will be very expensive, but it’s the way to go for that. You can always wrap door jambs and such, but you can’t really wrap an entire engine bay to make the car look like it was that new color, from factory. 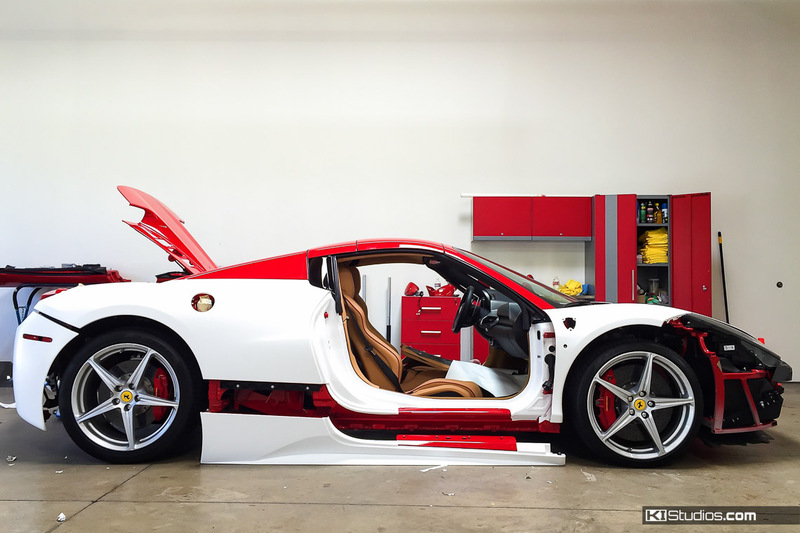 Technically, a paint job can look better and deeper than a wrap. 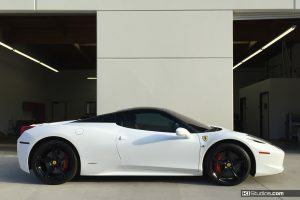 It can also look “factory.” But a paint job of that caliber will also be far more expensive than a wrap. 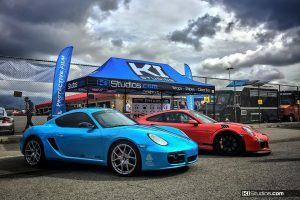 Hopefully after reading this you have a better understanding of car wraps vs paint and when it’s best to paint your car rather than wrap it. 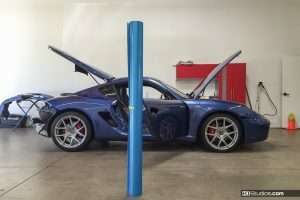 You would also understand the reason why wrapping is just about as expensive as painting, but allows you other benefits that paint doesn’t and vice-versa. To conclude, his information can help you make a decision as to what would be best for your vehicle. Check out the gallery below to see the process of wrapping a Ferrari 458 Spider as well and the KI Studios Porsche Cayman S.
At KI Studios we design and sell car wrap kits. 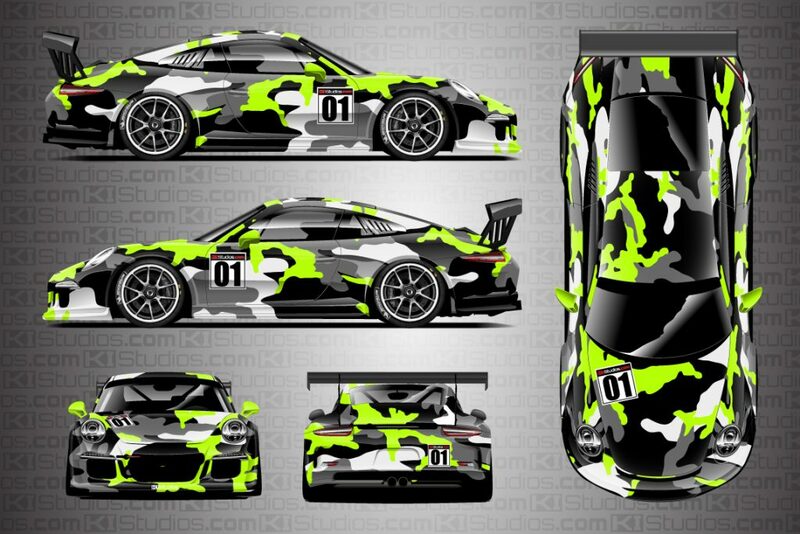 We have a series of pre-designed printed wrap livery kits in on our online store. 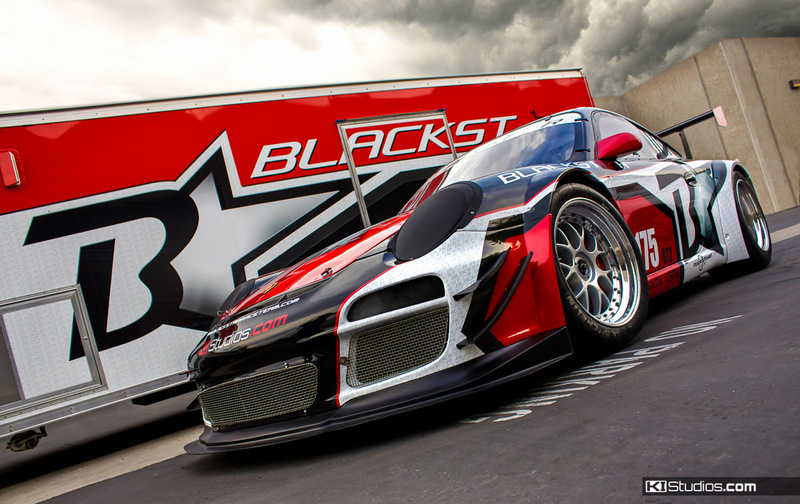 We also design and print custom liveries. We ship our kits worldwide. You simply choose a local wrap shop to install them for you. See the entire collection of KI Studios printed livery wraps.